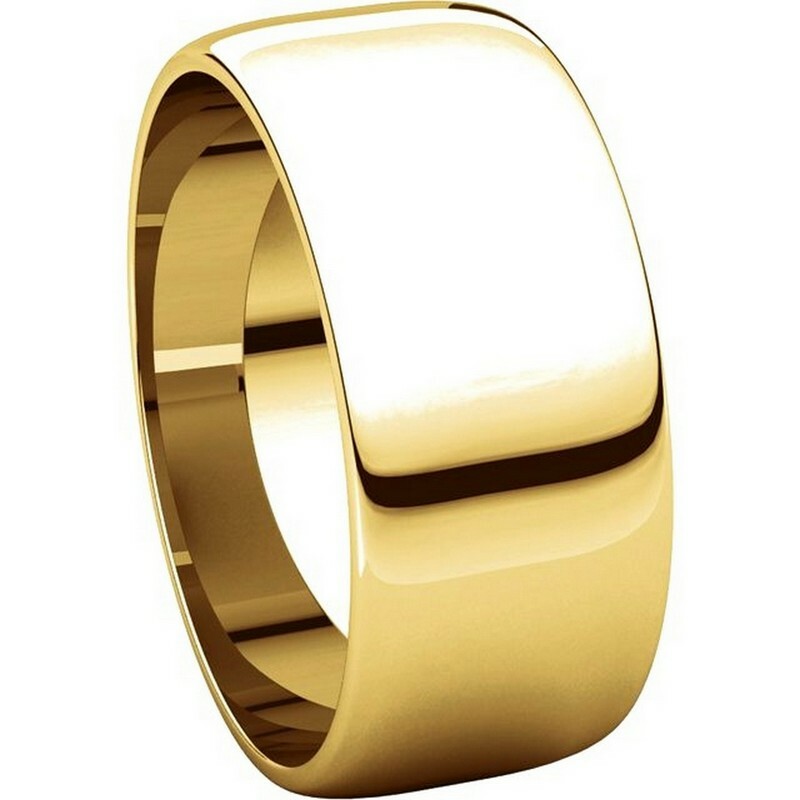 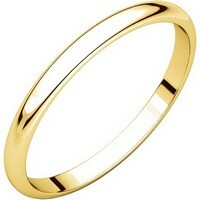 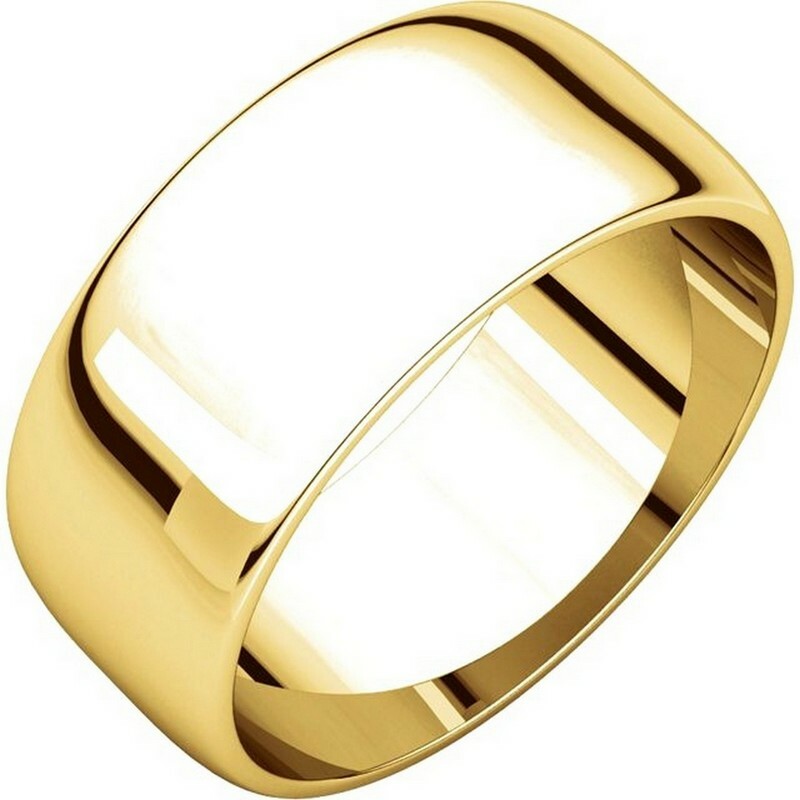 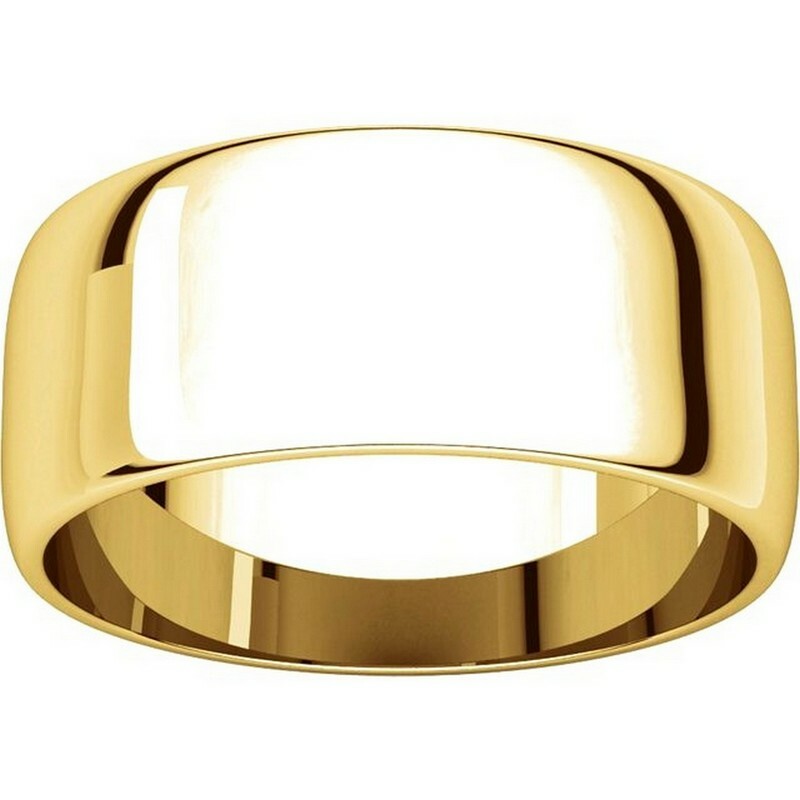 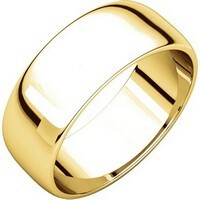 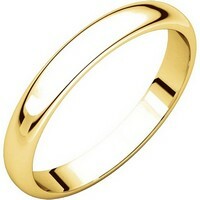 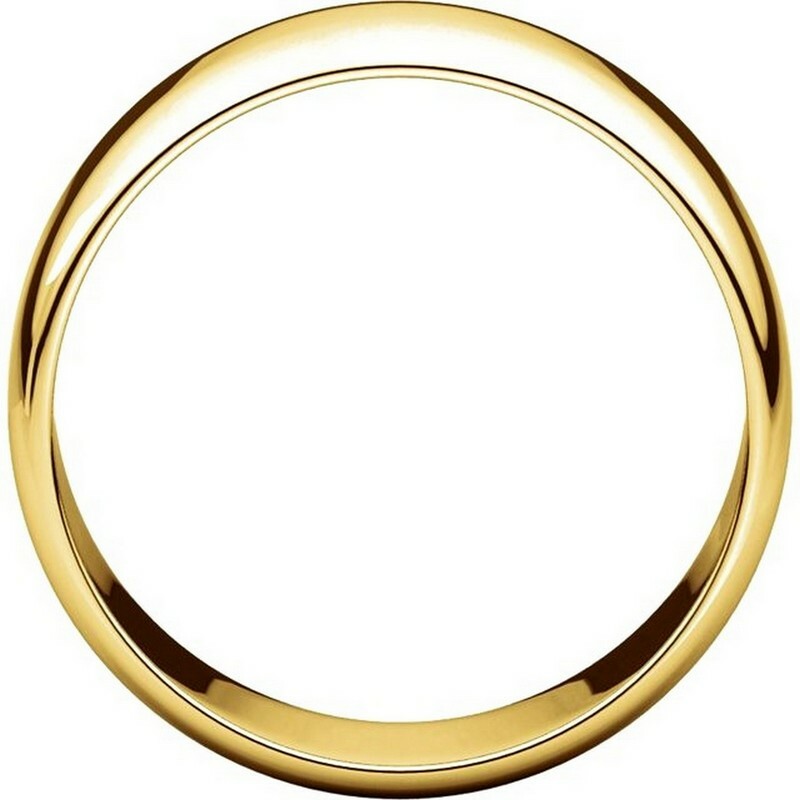 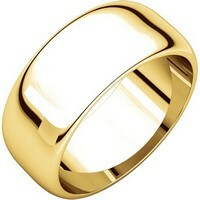 Yellow gold 18K plain 8.0mm wide half round wedding band. 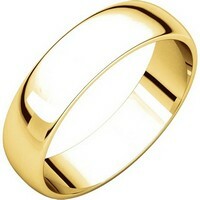 The ring has polished finish. 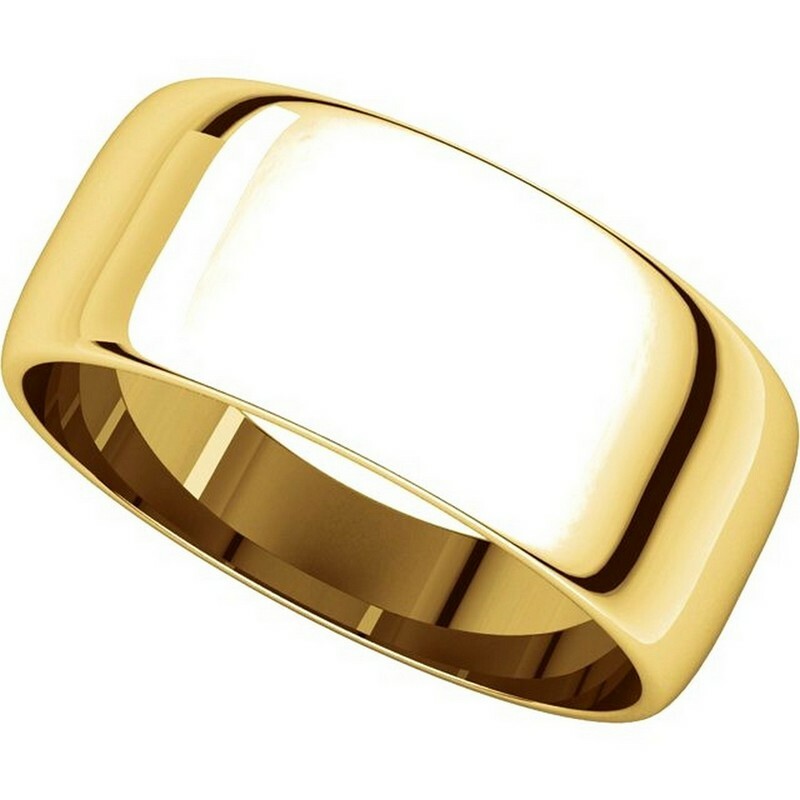 Different finishes are available.